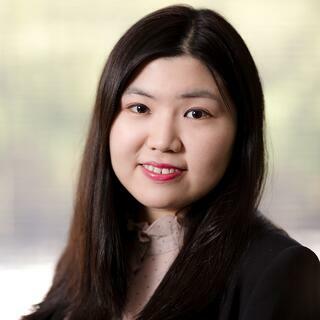 Binbin Zhai joined BTerrell Group as a Consulting Intern in June 2012, became Corporate Accountant in 2013, and serves as a Consultant since 2015. As a CPA, certified Intacct Implementation Specialist, and experienced Sage 300 user, many BTerrell client companies depend on her direction and guidance. In addition, colleagues value Binbin for her great work ethic, ability to assimilate ideas, and willingness to train other team members on internal systems. Binbin earned her Bachelor's in Accounting in Shanghai, China at Shanghai University of Finance and Economics in 2011. She moved to Dallas in August of 2011 and finished her Masters in Accounting at University of Texas at Dallas in May, 2013. Aside from being a CPA, Binbin is also an Intacct Certified Implementation Specialist. A teammate describes her as a "young, hip, and outgoing accounting professional." Binbin takes her inspiration from her mother who is a smart and hard working entrepreneur who has passed on her values and desire for independence to her dughter. She enjoys watching movies, reading and cooking meals with her friends on the weekends.